Based in Queensland Australia, Josh has worked with clients globally including New Zealand, the Pacific Islands, India and beyond! No event is too far away as Josh & his Magic Team can tailor destination performances. As a Master Magician, Josh makes sure your guests aren’t just stunned by Magic, but they are also entertained with both quick wit and Comedy. Josh has made a career from saying YES to the impossible. Have a crazy idea for your event to make something magically “appear”? Josh will make it happen! 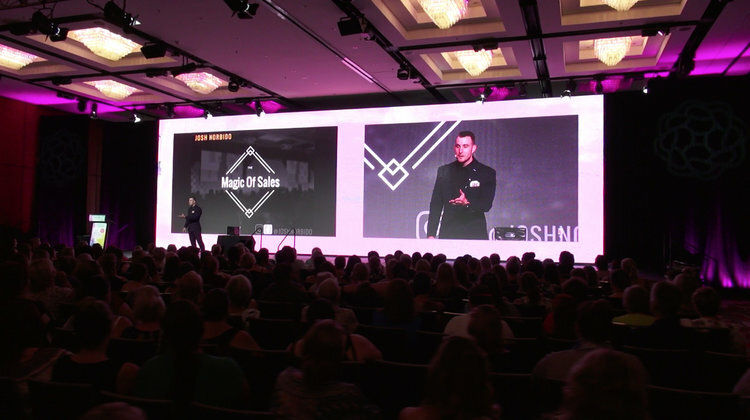 As a Keynote Speaker Josh shares with his audience how to become more memorable and engaging in Business. Josh uses Magic as his metaphor to explain the common threads between Magic and Business which not only engages your audience, but makes sure the message sticks. “Tell me and I’ll forget. Show me and I’ll remember. Involve me and I’ll understand”. Have a Special Idea For Your Event? Sign up with your email address to be notified when new shows dates are released and to be kept in the loop with news and updates.